Shoot for the moon, even if you miss you'll land among the stars! 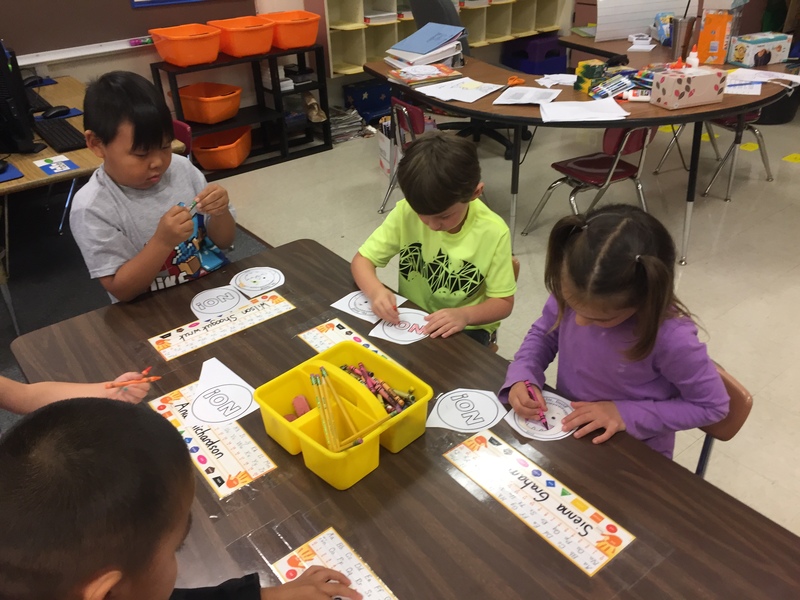 As we finish up our first week of school, our kindergarten & 1st grade friends spent some time getting to know each other using math. 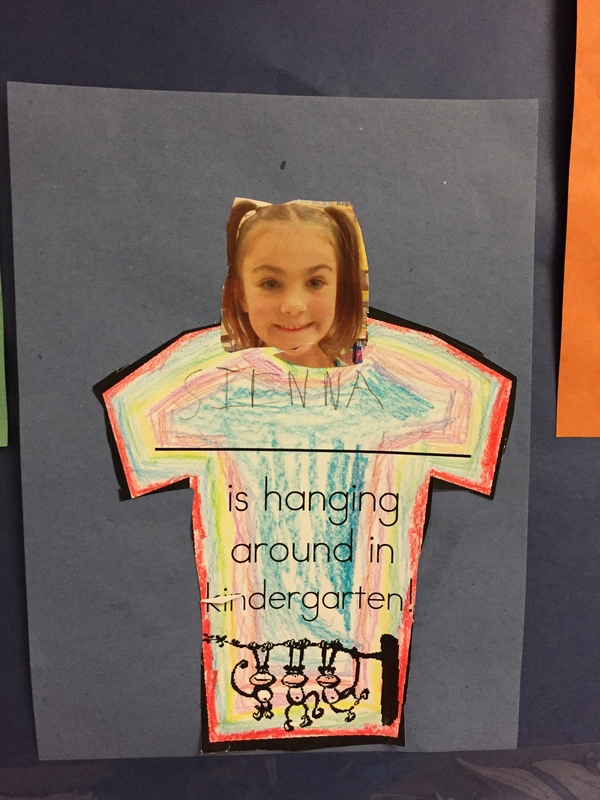 Kindergarten wrote their names, cut them apart, and glued them back together. 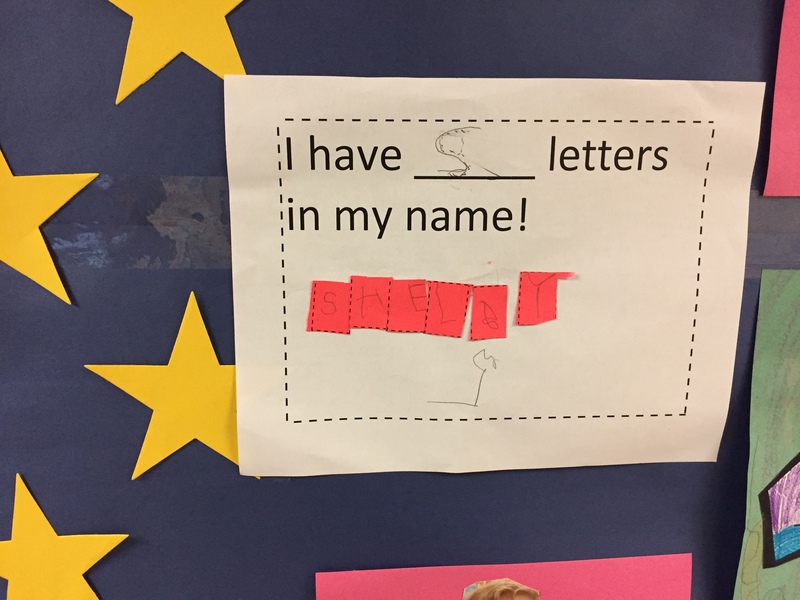 Kindergarten counted the letters in their name and shared it with the rest of the class. 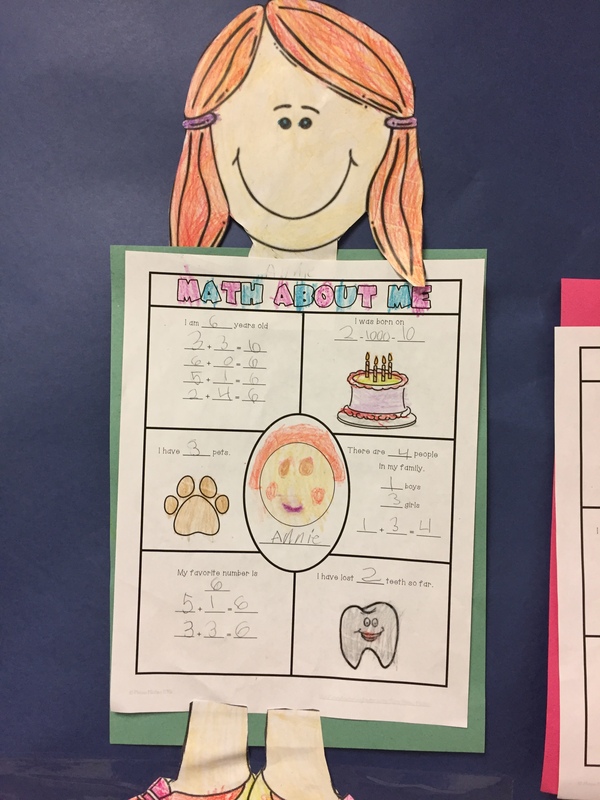 In 1st grade we’ve been learning about addition strategies so the 1st graders used what they’ve learned to share about themselves to the rest of the class. 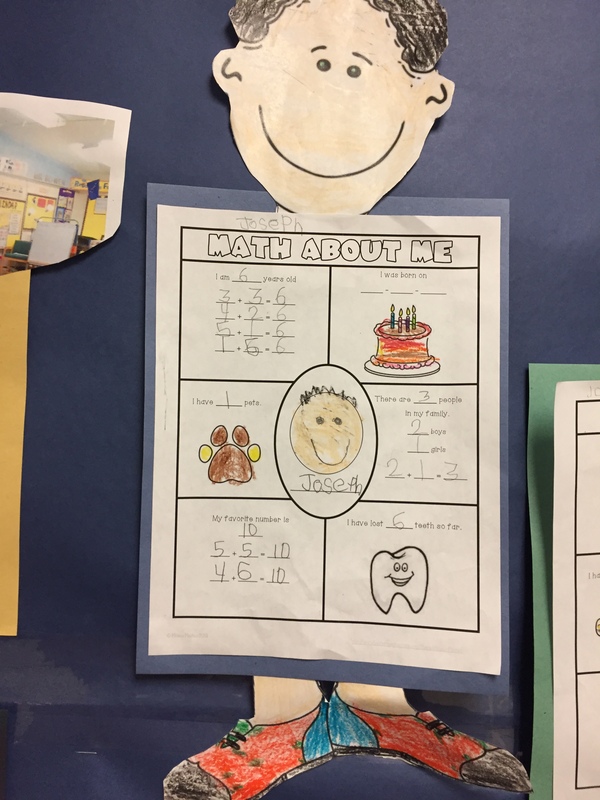 The activity can be found over at First Grade Smiles. Welcome back my All-Stars followers! I realize it’s been a longtime since I’ve done a regular blog-post. I’ve been super busy with workshops, family, and summer projects. However I return with a commitment to bring you more updates and ideas. 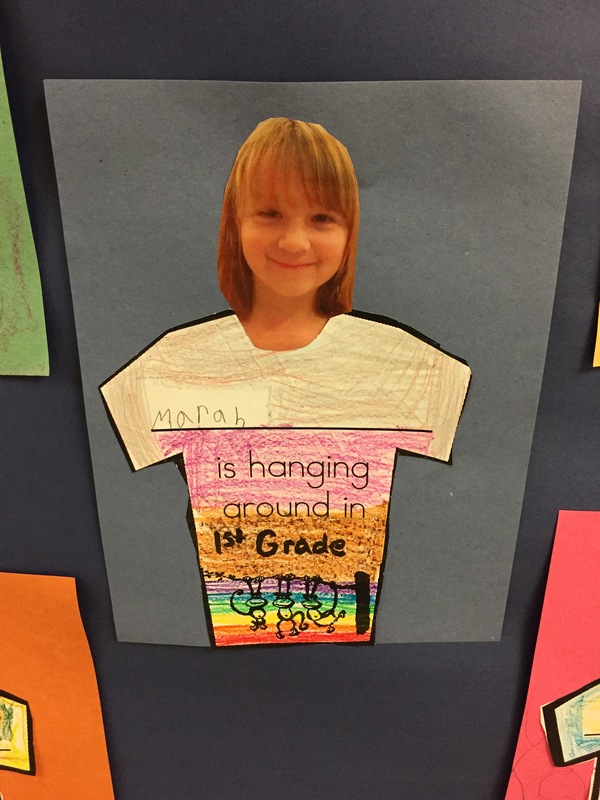 Let’s first start out with the biggest update; I have been moved back into a multi-age kindergarten / 1st grade classroom. Still located in the city of Kenai, Alaska. It has definitely been challenging; but I love the change in dynamics and am excited about a few changes to my classroom that I’ve made this year. 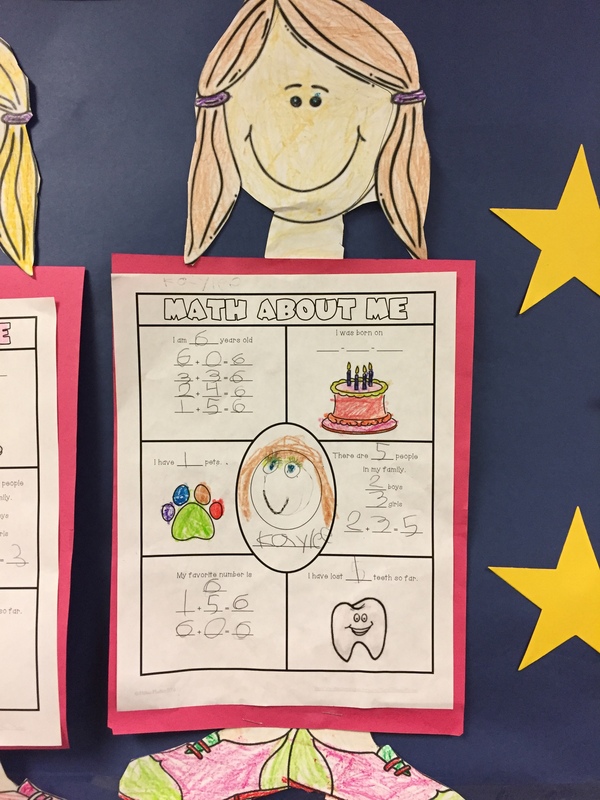 This week is our first week in back to school and like usual we are talking about school expectations, rules, and classroom procedures. 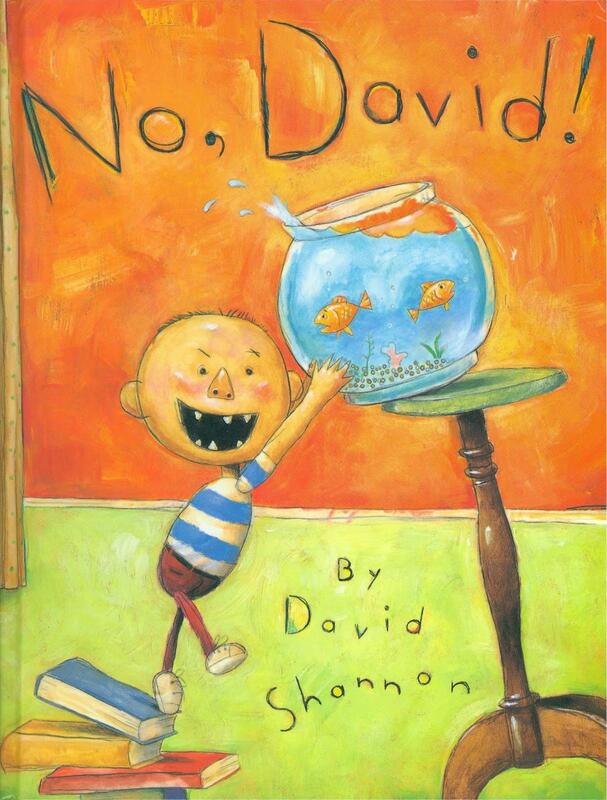 Our first days we’ve been reading some of my favorite back to school books like No David by David Shannon. 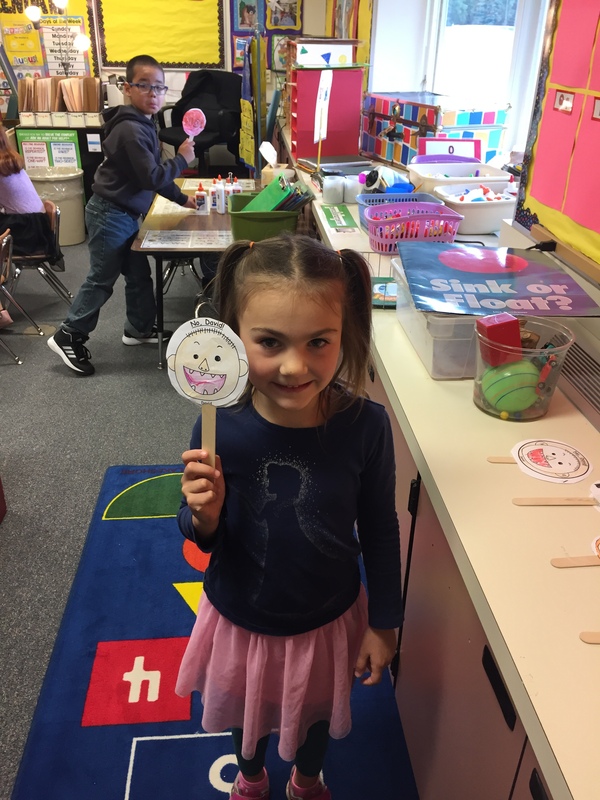 Then students made No David puppets to retell the story during free choice centers time. 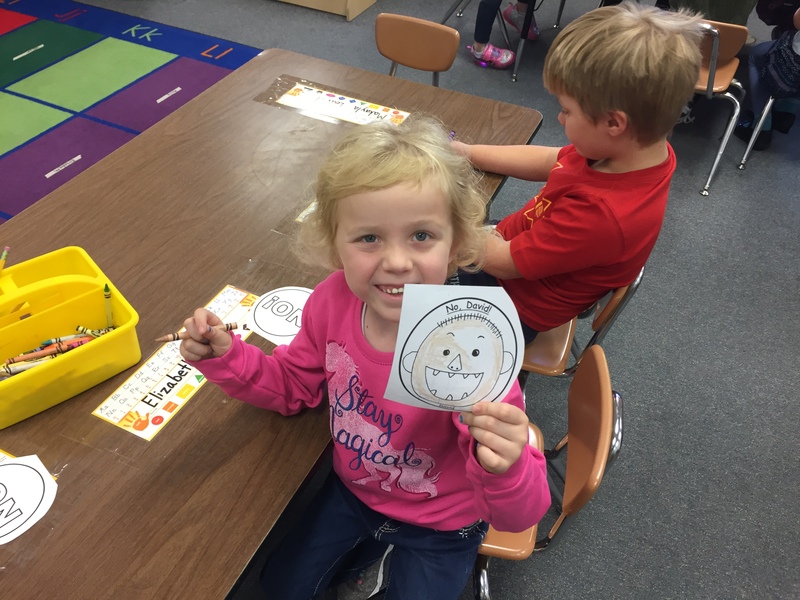 We’ve been also singing some of our favorite songs that we’ve remembered from preschool and dancing to them using the website http://www.gonoodle.com. 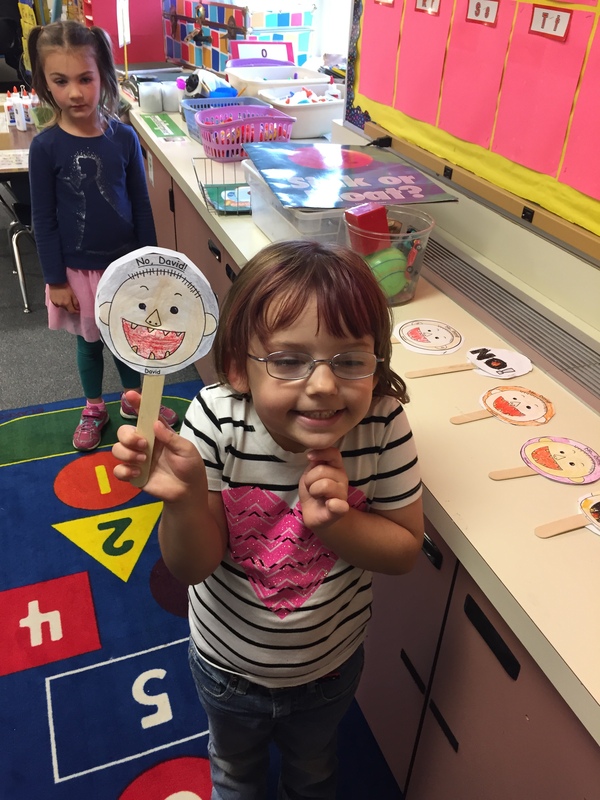 Today we sang and danced to 5 Little Monkeys. 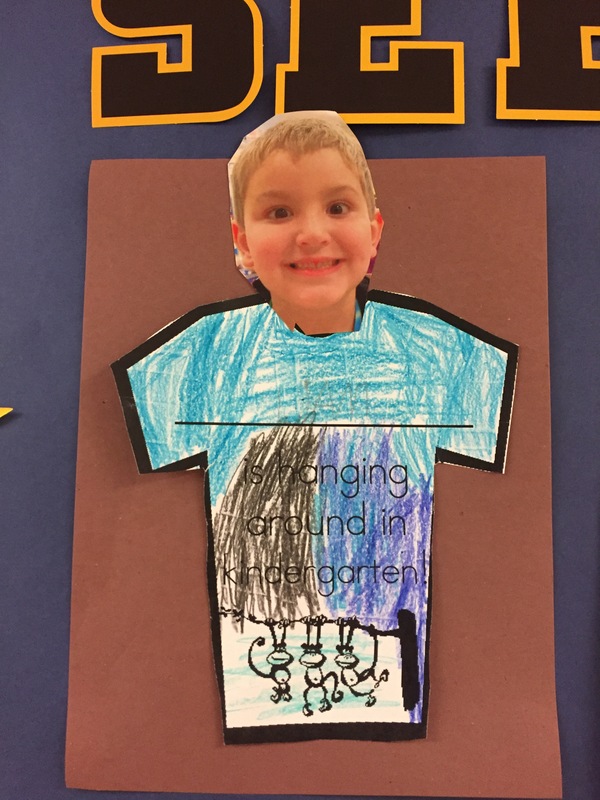 We read the story Curious George: Goes to School, created a craft using t-shirt template ideas from this website and taking individual pictures. They turned out very cute! We’ve been at it again over here at The Kindergarten All-Stars! 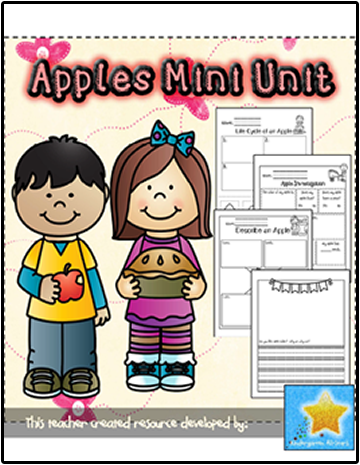 As we’re gearing up to go back to school, I’ve developed my apples mini unit for purchase over at Teachers Pay Teachers. I’ve used this unit for years but now it’s ready for you to use it in your classrooms! In this bundle students will explore various science skills & topics such as; investigating, labeling, life cycle, and vocabulary. 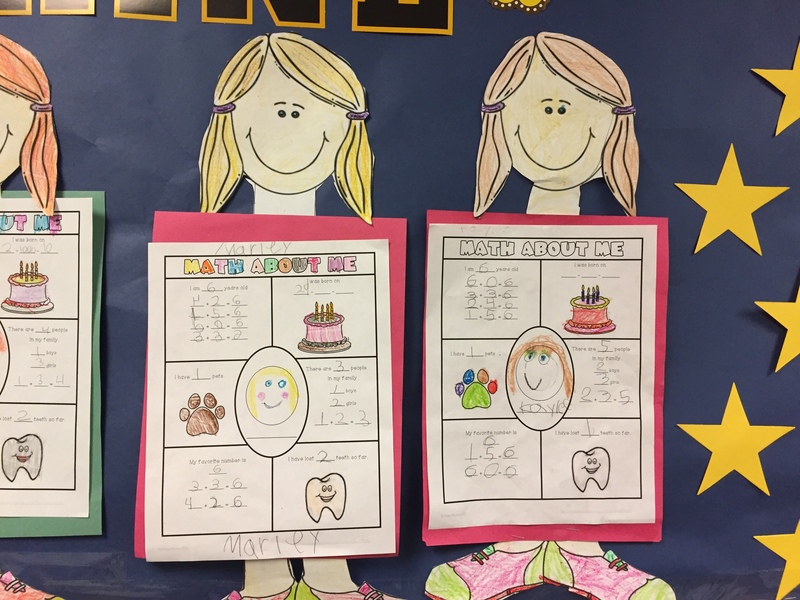 Language Arts and math curriculum are integrated into the activities. 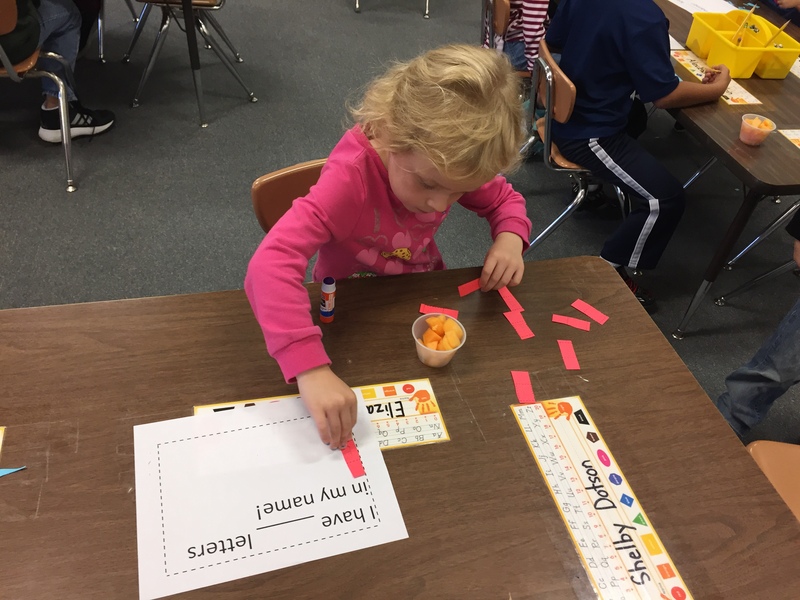 The activities are aligned to Kindergarten Common Core standards. 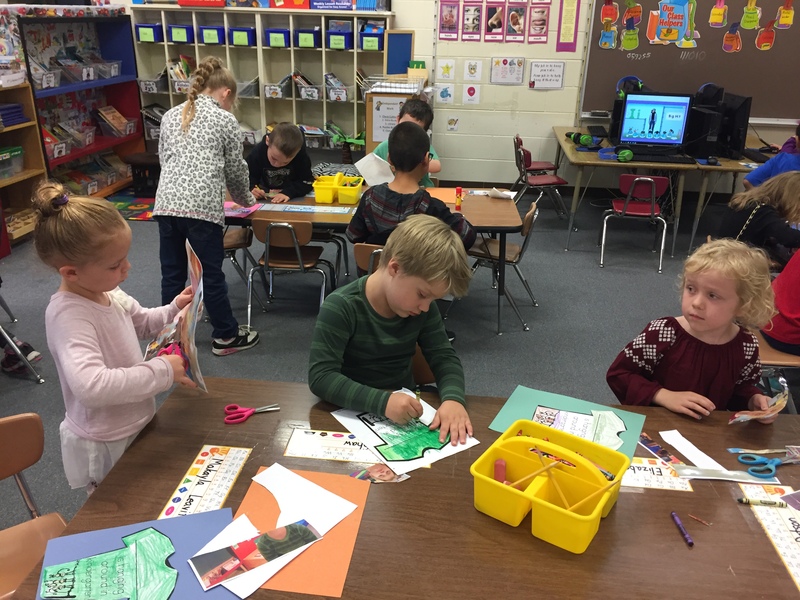 The packet includes 25 pages of print & go workpages, a emergent reading book, a writing prompt, and 2 art projects. I cannot wait to use this unit again in my classroom and show you more pictures! If you’re as excited as I am to use this unit, you can purchase it by clicking on the picture below. 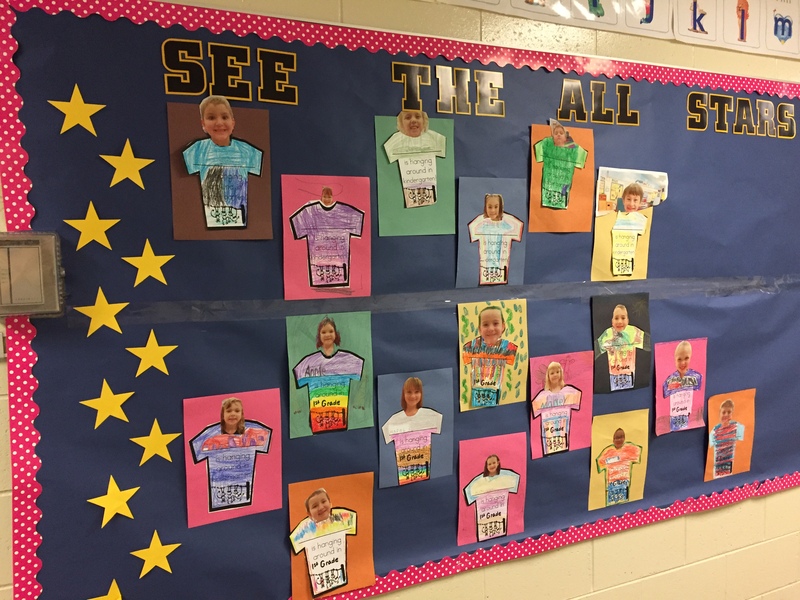 We are gearing up for back to school here at Kindergarten All-Stars! 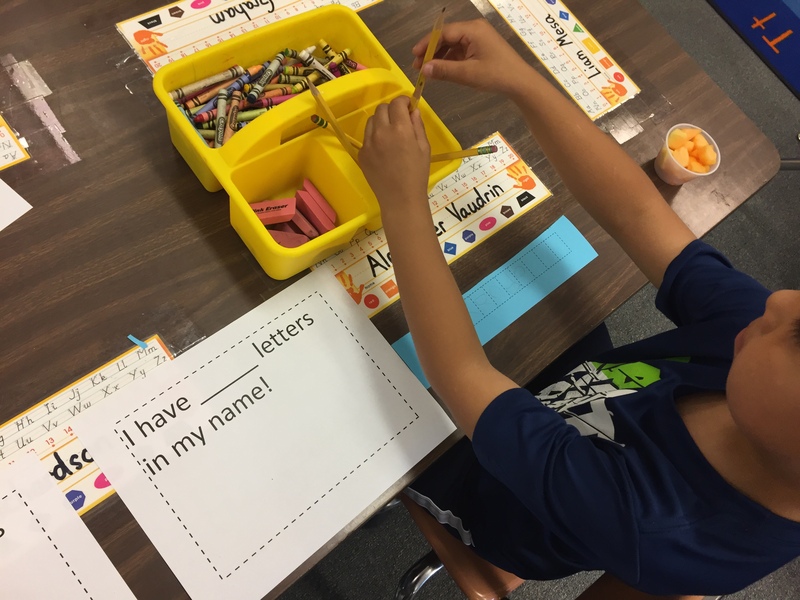 I thought it would be a good time to create a digital version of one of my favorite back to school activities! 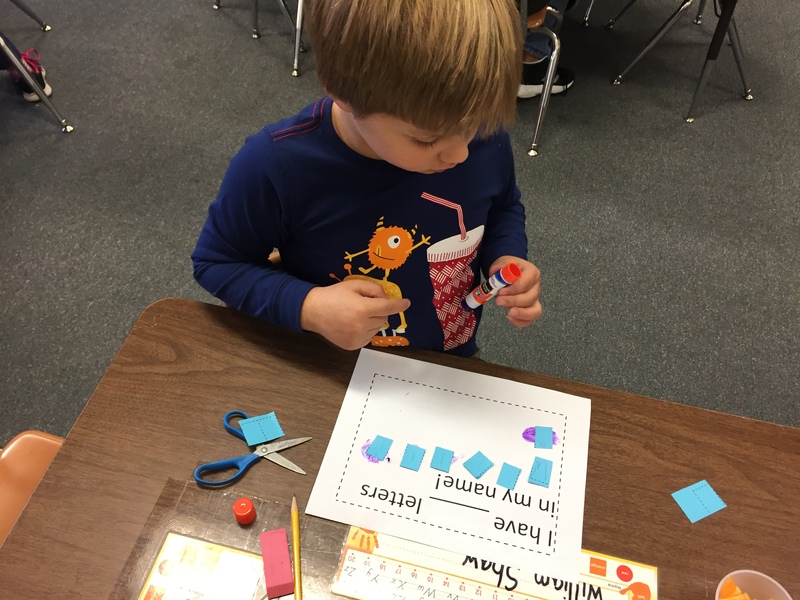 Students create a cut & paste bus craft, then make their own version of the song with a phoneme substitution from the first letter in their name! We hope you enjoy this product and spread the word to others. There will definitely be more products available as the school year gets closer to starting. 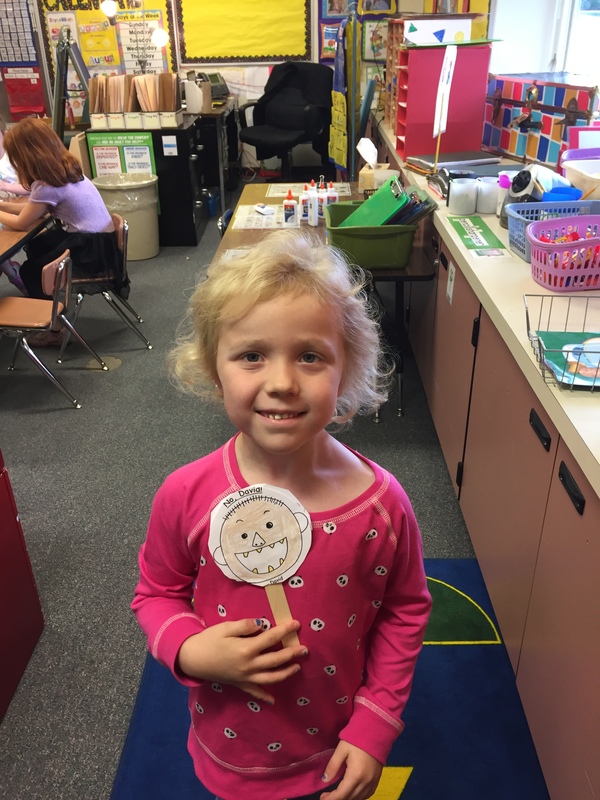 Enter your email address to follow Kindergarten All-Stars and receive notifications of new posts by email.